Ben Carson also doubled-down on his statement about the pyramids in Egypt being for grain storage. 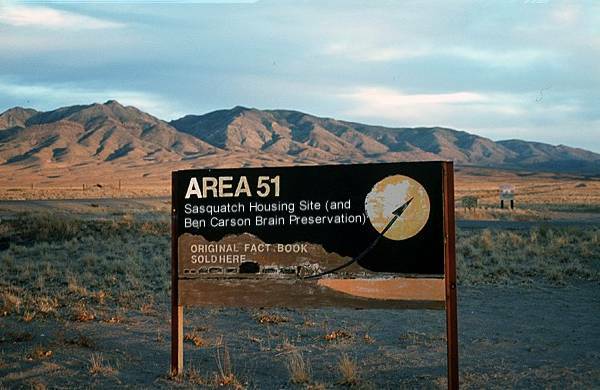 WASHINGTON — Earlier today, Republican presidential candidate and retired neurosurgeon Dr. Ben Carson announced the real purpose of Area 51 was to house his original brain, and a colony of Sasquatches. Carson’s statement followed his declaration earlier in the week he still believed the true purpose of the pyramids in Egypt was to store grain. “Everyone thinks Area 51 is the place where extraterrestrials live or fly or something, but that is not true. The real reason Area 51 exists is to house Sasquatches. Millions and millions of Sasquatches,” said Carson, who gave the press a vacant stare. “I was already a neurosurgeon by that time, but I did become a Republican shortly afterward. And now I am running for president,” explained Carson. A Carson 2016 staffer quickly emerged, took the doctor by the hand, and led him off of the stage.